Pittsburgh-based geotechnical general contractor Nicholson Construction was recently awarded a support of excavation contract for two diaphragm walls as part of the Westerly Storage Tunnel project in Cleveland, Ohio. 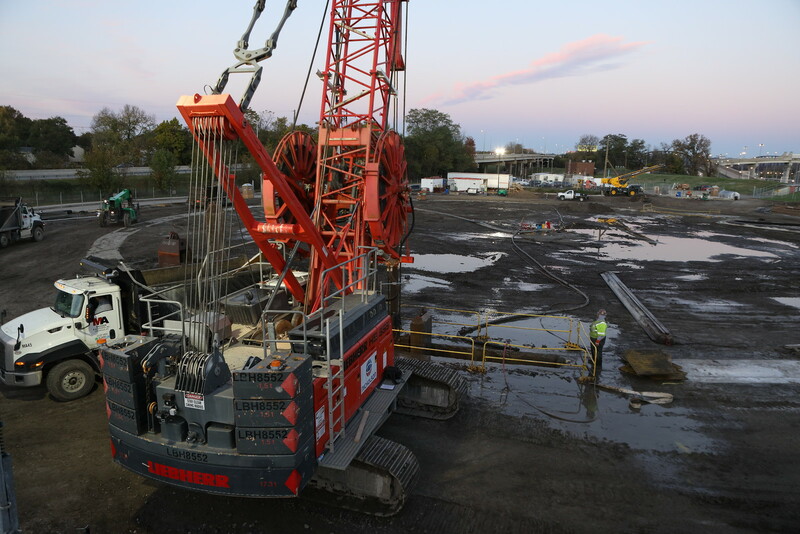 The $135 million project, which is owned by the Northeast Ohio Regional Sewer District (NEORSD,) includes approximately 9,600 lf of combined sewer overflow (CSO) storage tunnel excavated in rock and three shafts. The Westerly Storage Tunnel is part of NEORSD’s Project Clean Lake, which is a 25-year program designed to reduce pollution in Lake Erie by four billion gallons per year. Nicholson’s portion of the work includes the construction of a 42-inch thick, 152-foot deep unreinforced diaphragm wall shaft for support of excavation at the drop shaft, as well as a two-foot thick, 71-foot deep steel reinforced diaphragm wall for support of excavation of the connecting gate structure and a three-foot thick, 175-foot deep unreinforced diaphragm wall for support of excavation for the 20-foot diameter drop structure vent shaft. The company has an extensive tunneling history in Ohio, having just finished the Dugway Storage Tunnel in Cleveland (also for NEORSD) in 2016 and several projects for the Olentangy Scioto Interceptor Sewer (OSIS) in Columbus in 2012. Project Clean Lake is scheduled to be complete in 2036. At that time, over 98% of wet weather flows in the new CSO system are predicted to be captured and treated.